Gordon and Penny Curley: Life Expo is Coming Back to Hampshire! 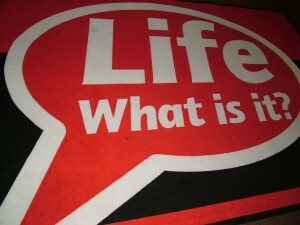 ‘The LIFE Expo’ is an inter-active exhibition about the life and impact of Jesus Christ. On it’s last visit to Hants, Nearly 600 hundred primary school children from local schools visited the exhibition during the week. During the evening, the exhibition, a multi-media experience was also open to the general public. The Life Exhibition is a multi-media experience designed for primary school children which complements and works alongside existing RE teaching. 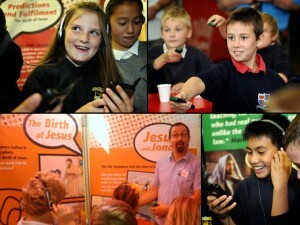 Using interactive tablets, QR codes, graphics, quizzes, films, songs and a discussion café, Life helps children learn – in just over one hour – about the story of Jesus and his relevance today. The exhibition is FREE to schools thanks to the sponsorship of local churches and Counties. It is aimed at KS2 children, although sessions can be shortened to include children in YR3. It visits an average of 20 towns or cities per year and unpacks into a public hall or church building, where children from several local schools can come in to be hosted each week. Life Exhibition from CountiesUK on Vimeo. The ‘LIFE Expo’ is divided into four distinct areas. An introduction, which includes a short talk and DVD. The ‘Zones’; in which panelled areas present the historic roots, teachings, miracles, death & resurrection of Jesus. Children interact using an ipod tablet in these areas. ”Life Café’. This gives an opportunity to summarise and bring a final challenge about what the children have seen, while they are enjoying a drink and biscuit. “An excellent experience for the children that will provide a great start to our R.E. topic. “The children were very engaged during all of the activities or zones. 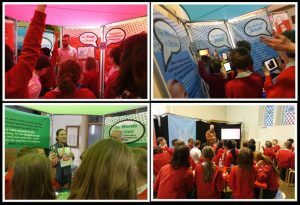 “This is a fantastic exhibition providing children with a great opportunity to explore the truths of the Christian faith. we appreciate the effort and time that all the volunteers have given. well done to all”. “Superbly organised and gave the children a great deal to reflect on and think about. Thank you to all involved”. “Fantastic opportunity for children to explore who Jesus was and begin to think for themselves. The children loved all the interactive media and seemed to learn a lot”. “What a wonderful exhibition where children can interact with the stories and life of Jesus.